The November issue of ShowBoats International is out and available to buy in our estore now. 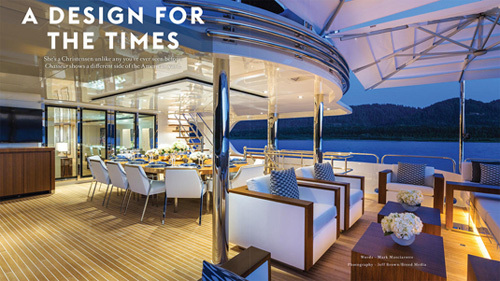 The new issue contains four yacht reports on Chasseur, Aquijo, Cloudbreak and La Passion. There's also a look into the fascinating world of Presidential yachts, an interview with owner John Williams on racing the world's largest J Class yacht Ranger and a guide to the globe's 15 best beaches. The November issue of ShowBoats International also picks this season's best watches, takes a look at all things private jet in its aviation special and talks to watchmaker Richard Mille about what makes him tick. "It’s easy for us working in the superyacht world to become jaded about boat shows," says Kate Lardy in her editor's letter. "My feet hurt just thinking about the next one — which, by the way, is this week. I fly to Monaco this evening just after we put this, our biggest-of-the-year Fort Lauderdale Boat Show issue, to bed. Fall boat show season is so hectic that we sometimes forget how extraordinary the opportunity is to see so many floating works of art tucked in rail to rail. Treats coming to Fort Lauderdale include a 55.1 metre support vessel to haul all the toys and a 70.1 metre, 30-knot Espen ?ino original. 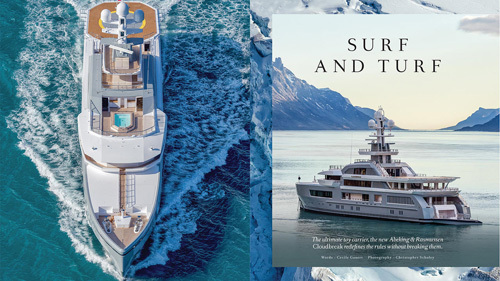 Two yachts making their world debut this fall, Chasseur and Cloudbreak, are featured in these pages, and you can see them in person in November." Lardy continues: "The day after the show ends comes another big event. As a nod to the elections, we take a look back at the vessels that have served past presidents — Cecile Gauert delved into the colourful history of presidential yachts and found no shortage of fascinating anecdotes, including moments aboard that shaped our nation. This was a time when a yacht was considered an acceptable business tool, a role that has since transferred to private aircraft. Presidential yachts may have lost out to Air Force One, but those who don’t need congressional approval can have both. Along with our boat show guide, be sure to take a look at our special aviation section."